Police Code of Ethics research papers discuss the code of ethics followed by the law enforcement community. A police code of ethics is essential to any law enforcement community. These professional codes establish standards that rise above ordinary levels of normal, decent individuals. For police officers especially, there is a high demand for superior moral fiber. Officers are charged with upholding and enforcing the law. Officers therefore need a strict code of ethics in order to serve in that role. The International Association of Chiefs of Police, one the largest organizations of law enforcement officers in the United States, publishes it Law Enforcement Code of Ethics as a standard oath for police officers. In essence this police code of ethics demands that officers should maintain an unsullied private life in order to remain an example to the community. Officers should always be honest in both thought and deed in and out of the uniform. Officers are further expected to enforce the law courteously and appropriately, without permitting personal feelings to interfere with performance of duty. Any police department’s code of ethics exists separately from its formal organizational rules. These are broader statements of officer conduct, which reinforce the department’s commitment to the very values it seeks to enforce in the community. Many may see such codes of ethics as infringing upon an officer’s freedom of choice in personal matters, but a police code of ethics is designed to maintain order and avoid impropriety among all officers. 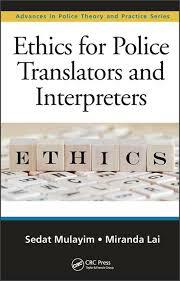 Police Ethics research papers discuss the ethical code the police officers must uphold in order to protect and serve. Criminal Procedure Research papers on criminal procedures often look at case studies of crimes and explain the procedures involved with making an arrest or case. Police Unbound research papers examine a book by Anthony Bouza. Paper Masters writes custom research papers on Police Code of Ethics and discuss the code of ethics followed by the law enforcement community.